Krists Saržants is a Latvian pianist and composer. 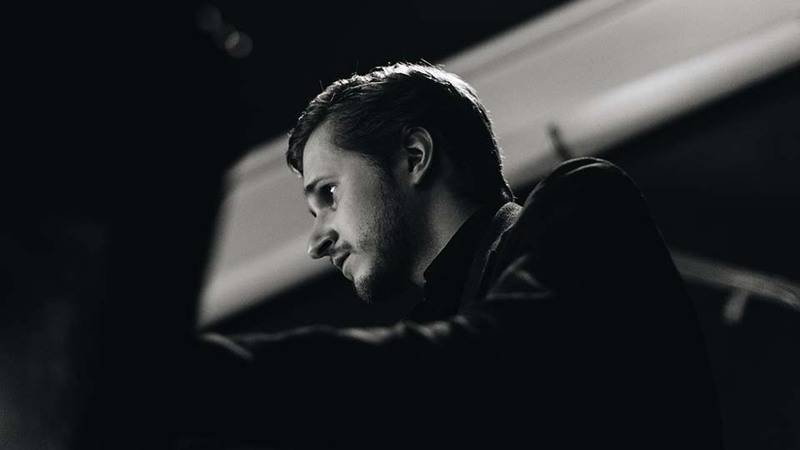 In 2015 he graduated from Jāzeps Mediņš Riga Secondary Music School and now continues his studies at Jāzeps Vītols Latvian Music Academy. So far he has collaborated with a lot of notable musicians and bands, participated in various workshops and performed at a lot of festivals. In his music Krists uses modern classical music techniques, improvisation based on jazz music, polyphonic melodies and film music inspired harmonies. His biggest influences have been Nils Frahm, Martin Kuuskmann, Tigran Hamasyan, Avishai Cohen, Taylor Eigsti, Max Richter and Philip Glass. Rob Duguay lives in Queens, New York and performs regularly around the New York City area, leading multiple groups including Songevity, Low Key Trio, and Rob Duguay Quartet and Trio. Born in Toronto, he began studying classical piano at age 6 and started playing jazz in high school, picking up the piano, upright bass, and percussion instruments. Throughout the years, Rob has had the opportunity to study and play music formally and informally with many great jazz talents while living in Connecticut, Vermont, New Orleans, New York City, Washington, D.C., and Paris, France. He received an ASCAP award for jazz composition upon entrance to the university through the help of the Louis Armstrong Foundation. Rob entered the Master’s of Music in Jazz Studies graduate program at William Paterson University under Dr. David Demsey. Rob’s music reflects the diverse array of living and legendary influences he actively seeks out. Through his musical achievements and his love of music, Rob has earned recognition for bass performance, composition, and service in the jazz community. Krists Saržants Quintet was created in 2017, originally to record a promo CD consisting of four Krists’ original compositions and one Latvian folk song arrangement. The CD was unofficially self-released for Jazzahead! trade fair with only 30 copies. In two more sessions the quintet kept the musical work, creating a debut album with release scheduled for 2018. Currently Krists Saržants Quintet is performing in various venues in Latvia, playing Saržants’ original music and arrangements of jazz standards and Latvian folk songs. Official International Jazz Day Latvia jam session coming right after the performance, so every musician is warmly invited to join!